I reposted them on a Thursday – actually late on Wednesday night – and I was told that I was participating in Throwback Thursday. I am generally so oblivious to social media norms that I did not know that Throwback Thursday was a thing. I HATE doing social media “things”; next time I post old pictures, it’ll be on a…MONDAY. This is another in those occasional pieces about how I’m surprised that people who know me don’t know me as well as I thought. You may recall that I previously mentioned a choir member who did not know I was a librarian. On my birthday this month, I was at church. The choir was going to sing for some thing called First Friday. I see an old buddy of mine from my FantaCo days in the 1980s, but I know him better since he started blogging in the past few years. I’ve written about how I used to sing with my father and sister, back when I was growing up in Binghamton. 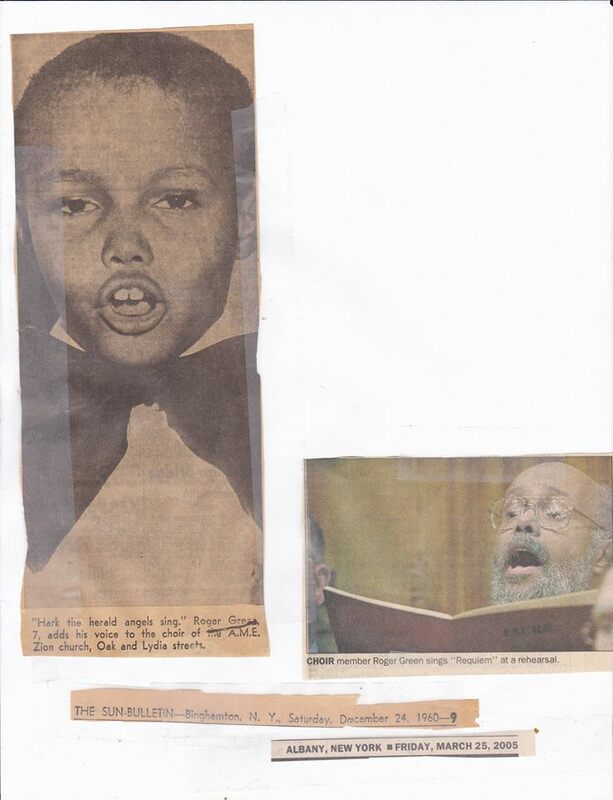 I also sang in the youth choir at Trinity AME Zion Church in Binghamton (see picture #1), and the chorus in high school. Oddly, I did not sing much in college. I certainly never joined a vocal group. I did sing in the stairwells with my friend Lynn, but that was it. I was in the church choir at First Unitarian in Schenectady for about five minutes in 1979. My real reintroduction to choir singing, though, began with my grandmother’s death in January 1982. She died on Super Bowl Sunday, in Charlotte, NC, but she had expressed a desire to be buried in her hometown of Binghamton, and she was, in May 1982. I got to sing in the choir, and I realized how much I missed it. I went church shopping. Attended all the FOCUS churches at the time, the UU church in Albany, and about a half dozen others. It ended up being between Trinity Methodist and First Church, the Dutch Reformed Church downtown. During Advent, Gray Taylor, one of the tenors at Trinity, made a pitch for people to join the choir. A sign! I sang for a week, then not the next two, but by January 1983, I was a regular. Stayed there until The Troubles in early 2000, after which I moved on to First Pres (see picture #2). So yes, I sing. I’d rather sing harmony than melody. I’m a baritone and can generally find the bass line to any song, even those without one. I sing in the shower. I sing inside my head when singing out loud would be inappropriate. 🙂 I think a lot of people are like you and got out of music and singing in their 20’s only to go back in their late 20’s or early 30’s. Faure’s “Requiem” is fascinating. Most Requiems are, actually, but I love Faure’s tender, gentle style. Those pictures just make me smile. It makes me happy to see someone who has enjoyed and worked at something from childhood into adulthood.